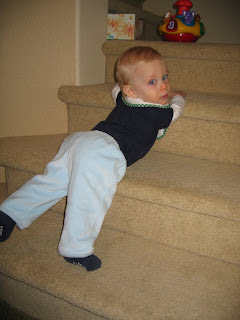 Mason is now my little stair climber. If I don't hear him playing somewhere downstairs, I know he's happily taking himself upstairs. 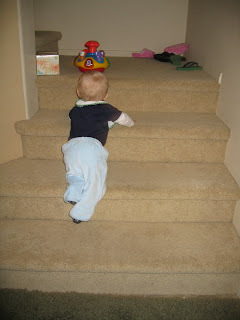 I have long-since forgotten the fun of climbing stairs, but for him, each ascension is an accomplishment. We have not yet covered the descent, which I'm sure he'll enjoy just as much...and perform twice as fast. Each day has enough trouble of its own! Priceless pictures! Mason is growing so quickly! 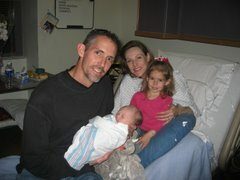 We are proud of him and Madeline. Has to be the wonderful parenting!